One of the mildest and perhaps the most efficiently well-tolerated anabolic steroid on the market Oxandrolone has become very popular among performance enhancers, especially in the female community but remains a staple in the treatment of many muscle wasting diseases. 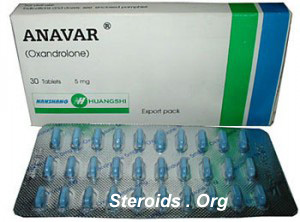 Originally developed in 1964 by Searle Laboratories, (absorbed by Pfizer in 2003)the same manufacturer who brought us other well-known items such as Celebrex, Ambien, Dramamine and NutraSweet, Oxandrolone hit the shelves under the trade name Anavar and has been a favorite of many ever since. While Anavar is not a very powerful steroid, milligram for milligram it is one of the weakest ever made, it holds the distinction as being the most side-effect friendly with the strong majority of effects being only of a positive nature. As it is so well-tolerated many female athletes around the world supplement with the hormone but unlike men many women have found a very suitable bulking agent in the Anavar hormone; while mild most women simply require a lessened boost if you will to see phenomenal gains. However, it is in the world of competitive physique sports that is perhaps this particular steroids greatest and most welcomed home, as it is not only a favorite but in many cases an outright necessity to the majority of bodybuilding, figure, fitness and even many bikini competitors.